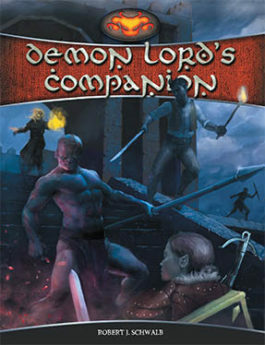 Shadow of the Demon Lord sourcebooks come loaded with new options for players and Game Masters. Offering a mixture of setting details and rules expansions, you can find out more about the world of Urth and the people living in it, while also gaining new options for creating survivors in a world sliding into madness and destruction. Magical places, relics, creatures, and more! 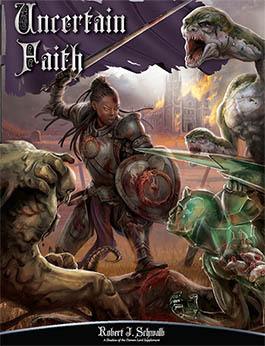 Buy it now from Schwalb Entertainment as a PDF, in print, or on DriveThruRPG! Heed the Call of the Faerie Queen! The elf, hobgoblin, and pixie ancestries. An assortment of new paths such as the Avowed expert path and the eternal guardian and troll hunter master paths. The Fey tradition, and new spells for existing traditions. Overviews of several sample faerie kingdoms. New relics such as the Vorpal Sword and a new enchanted object table. 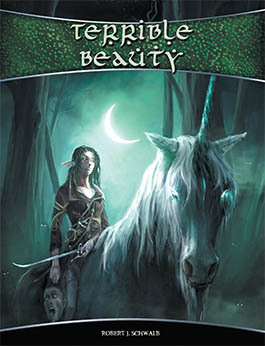 New creatures ranging from the fair nymph to the foul jabberwock. A complete adventure for expert characters. What Wonders You Will See! Somewhere far below Urth’s surface lies a place of shadow and fire, a realm of exquisite agonies and terrible delights. Hell awaits all who bear corruption’s stain on their souls, for it is a boundless repository for the damned, a place where every wickedness, every deviance, every sin is on full display along with the consequences for those actions. The devils, Hell’s denizens, profit from mortal misdeeds and go to incredible lengths to lead mortals astray. While they readily destroy lives and laugh with glee at the rivers of tears and blood they create, they need the world as much as mortals do—for without it they too would be doomed. A shadow has fallen on Urth, a grim darkness cast by the Voice in the Void, and the devils wring their hands with worry. Some, perhaps, might set aside their appetites for evil to join forces and take a stand against the impossible foe. New background details, marks of darkness, and the cambion ancestry for players. 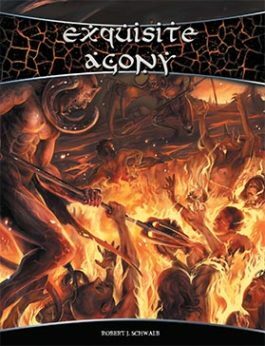 Exquisite Agony gives you everything you need to drench your campaigns in the horror only devils can create. 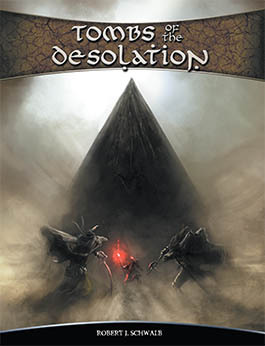 With the options in this book, your campaign will to descend to new depths of darkness and despair. Find Your Doom in the Frozen Wastes! Rules and story information for playing jotun characters. New expert and master paths including the juggernaut and skald. An assortment of new spells such as call the great raven and bloody revelation. A detailed look at the lands of the frozen wastes, covering the Blasted Lands, the Ice Watch Isles, and mysterious Blötland. New relics and dreadful new creatures like the kraken and the lindorm. “Kill Them All,” an adventure for master characters. A Glorious Death pulls back the curtain to reveal a war torn landscape in which people live and die for the amusement of the Dark Gods. This supplement gives you everything you need to bring these lands to life! The Hunger in the Void shines a light on the most terrifying creatures and most dangerous threat in the game. 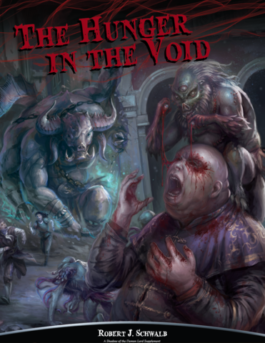 For the terrible secrets it reveals and the bevy of new and unnerving options it offers, The Hunger in the Void is an essential supplement for Shadow of the Demon Lord. 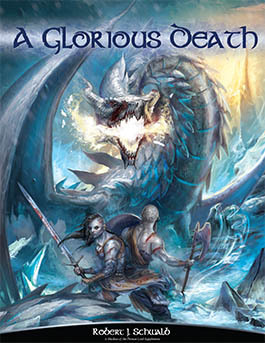 Buy it now from Schwalb Entertainment as a PDF, in print, or from DriveThruRPG! Drown in Fire and Blood! After the Cataclysm sundered our world, reducing cities to ruins and bringing nations to their knees, a new threat unfurled its wings to cast a shadow upon our reality. In this spreading gloom caper demons, warped creatures, and horrifying monsters, all of which tear down what’s left of the world in preparation for the coming of their dark master, the dreaded Demon Lord. Guidance for using Shadow’s ancestries in this new setting, plus a new take on the clockwork: the transcendent! 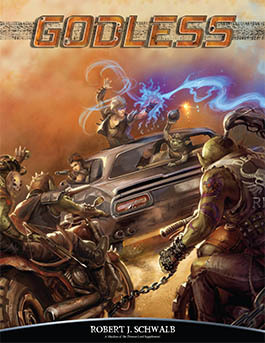 With Godless, you have everything you need to adapt Shadow of the Demon Lord for play in a post-apocalyptic environment, letting the players create characters who scavenge the landscape for parts, food, and fuel, while fighting off hideous mutants, invaders from other realities, and, of course, demons. 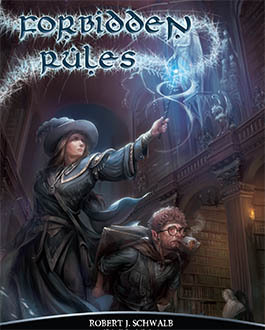 With this book, you’ll be able to explore a brand new world in the grip of the dreaded Demon Lord! Grab the PDF on the Schwalb Entertainment store here or on DriveThruRPG! Basic rules for playing characters beyond level 10! Grab the PDF from the Schwalb Entertainment store here or on DriveThruRPG!